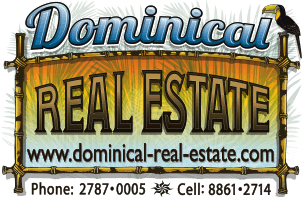 2.16 ACRES - Beautiful Ocean View Property With Huge Building Site In Costa Verde Estates!! Located in the private gated community of upscale Costa Verde is where you will find this expansive ocean view property. With more than enough room (30 meters x 40 meters) to build your dream home, you will be impressed with the amount of usable land, ocean views, easy access, and a wide range of amenities. With the Diamante ridge to your east and Pacific ocean to your west, you will love the feeling of a hilltop property. Committed to the first-class infrastructure that includes road maintenance, water, security, and electrical systems supplying the entire community right to your property. The paved road to the development provides one of the quickest and smoothest entrances in Southern Pacific Zone. The wide internal road is lined by lush native and exotic plants. The project boasts an ocean-view recreational shelter for picnics and get-togethers, playground, private landscaping nursery and protected natural areas of native species. You can work out at the community gym in the morning, play tennis in the afternoon, and charter a helicopter ride at sunset all within the gates of your private community. If you are looking for an established community in one of Southern Costa Rica\'s most sought our neighborhoods then look no further. With the potential to generate a great ROI as a vacation rental and multi-million dollar estate homes this is an opportunity you won\'t want to miss. You will also find renderings of a home the owner was going to build on this site and has all the geo studies needed to build today. Please contact us today for any questions or to set up a showing.